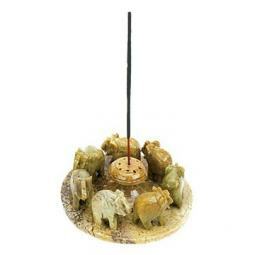 Sorry, we are currently sold out of 'Om Sign Incense Burners in Soapstone'. Please click the Wait List link below and you will be notified when it is back in stock. 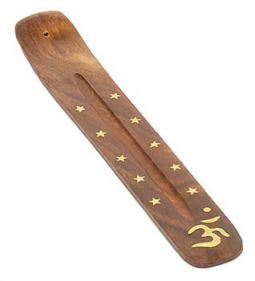 These Om Incense Burners are as attractive as they are useful! 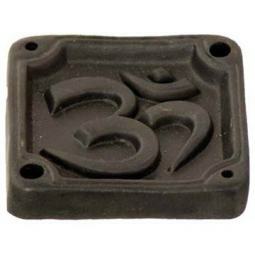 They feature a slightly curved soapstone dish with an inlay pattern of the Om sign, which is known as a sacred symbol in Hinduism, and which is recited at the beginning and end of every Hindu prayer. It is believed that the universe was void except for the cosmic sound of Om. 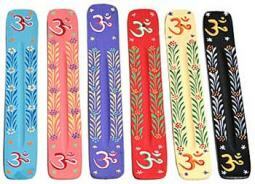 The universe evolved from the energy in the vibrations of the sacred Om sound. The three parts to the word (when written in Sanskrit) represent the Beginning, Sustaining, and Destruction / Rebirth of the Universe (much the way the three main deities of Hinduism - Brahma, Vishnu and Shiva - represent the same concept). These particular incense burners measure 4.5 inches by 4.5 inches, and they are slightly curved to help keep the ashes contained a little bit better than a flat surface burner. They work well with Indian incense and Japanese Incense.